With work now complete on our Group 44 Inc. GT6+ and our 1969 Triumph TR6, we're turning our attention back to our 1500 Spitfire. Ever since we bought the car, we've been very dissatisfied with the single Stromberg carburetor that came with it. Designed more for meeting U.S. emissions standards than any real performance work, we decided to replace rather than rebuild this carb. 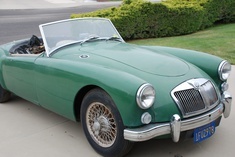 Although we had a nice set of twin Webers and a 1500 Spitfire manifold sitting on the parts shelf, we wanted to go with something a little closer to stock and a little closer to the average Spitfire owner's budget. In England these cars were sold with dual S.U. carbs. 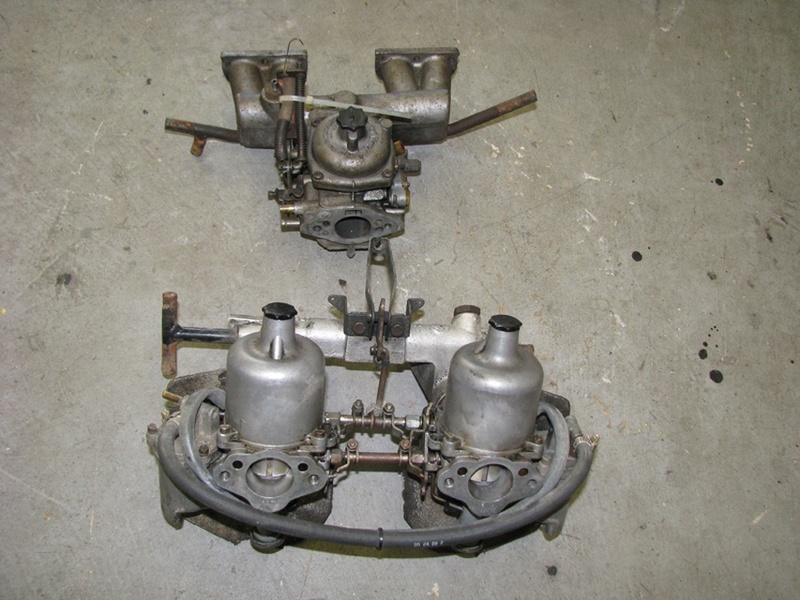 We sourced a set of these carbs along with the proper intake manifold, a factory European exhaust manifold, and a downpipe from Quantum Mechanics. The rebuild on these carbs was straightforward, and we had the exhaust pieces coated by Performance Coatings. We rebuilt the carbs ourselves and painted up the air cleaner with a crackle black finish. We performed some dyno and zero-to-60 testing on our Spitfire before the conversion, and we'll do the same soon for an upcoming article in Classic Motorsports. Without giving too much away, we were blown away. Not only was this conversion incredibly easy--even the original throttle linkage was designed to work with this system--but it made the car so much faster and more drivable. So does changing to the two-carb setup bump you up to Street Prepared or can you still run the Stock class since this is the stock setup in other parts of the world ? Would this be considered "backdating" and therefore legal in Stock? how much can I expect to spend on a SU upgrade on a 1500 assuming I can find a good set of used SU's? Missed these comments earlier. Sorry. Technically, switching to dual carbs would bump you into Street Prepared. You could argue, at least at the local level, that this is how the car would have come in England. You can also say nothing and 9 out of 10 tech inspectors and fellow competitors would not notice the mod. The other 10% would probably feel sorry for you for running such an old car and let it slide. The cost for this set up is only about $400-500 depending on your source for parts and condition of what you get.